The Hotel Mitteregger, https://www.mitteregger.at/ and the Hotel Das Alpenhaus https://www.alpenhaus-kaprun.at/en/ are situated in the centre of Kaprun. This holiday is the way to improve your skiing, last year there were 40 of us enjoying the usual Singlesport fun . (see the picture above) We stay in a choice of 2 hotels on half board basis (they are 100 metres apart) & ski each day on the Kitzsteinhorn glacier. Tuition is offered morning and afternoon for 5 days by BASI qualified instructors. This is definitely the holiday for those who want to concentrate on technique and see a big improvement to start the season. 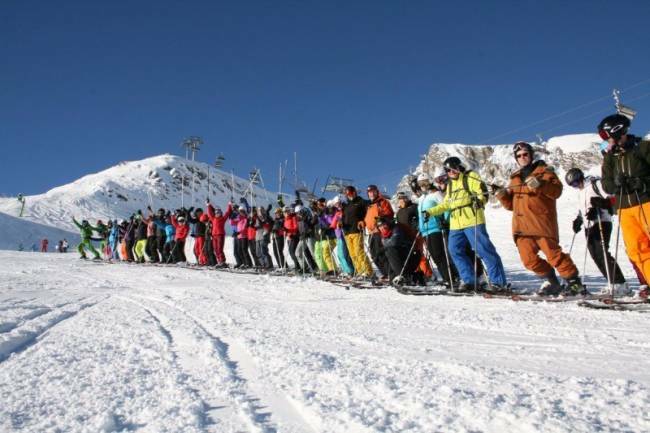 It will suit everyone from confident blue run skiers right through to experts. Anybody who has a real passion to improve their skiing will benefit from the sessions, be challenged and enjoy skiing with like minded skiers. The term ‘Performance Course’ may suggest highly technical, boring ski sessions – but nothing could be further from the truth. Our instructors do not work this way. They are some of the best ski instructors around, not only in terms of their own skiing ability but also in qualifications, communication and motivational skills. You do not have to be an advanced level skier to join our courses. If you can ski blue runs comfortably, our ski instructors will improve your skiing beyond your expectations. 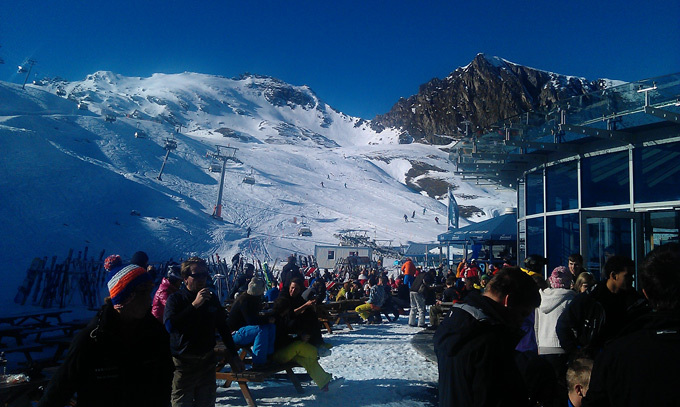 What Makes Our Kaprun Skiing Courses Special? You can also fly from Stansted to Salzburg with Ryanair . If sufficient people fly into Salzburg a transfer will also be organised for £70 return but if not it is easy to make your own way.